Space began working with Graeme Wylie, one of the founders of Sage, in 2007 when we initially worked with him on his own home the Chester’s in Northumberland, where our specialist conservation team helped to update the building fabric and bring it back to its former glory. 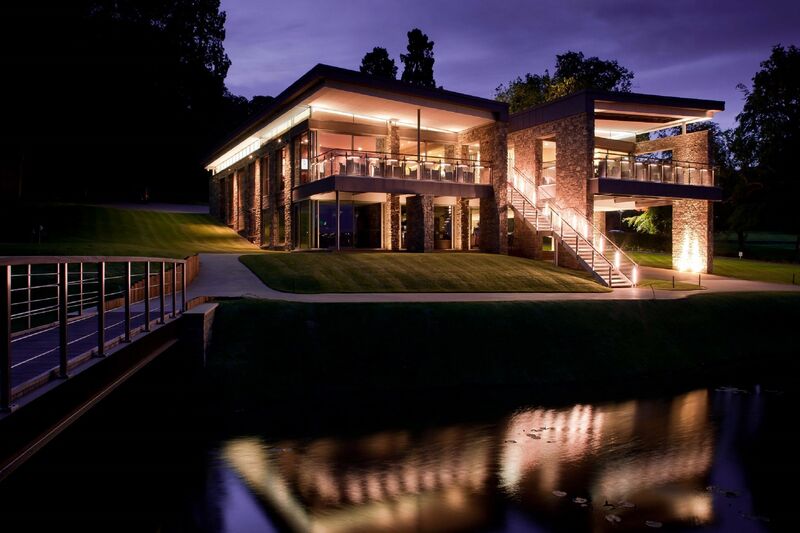 Graeme had recently stepped down from the Sage board and was considering his next project, it was at this point he decided to purchase Close House Golf Club - which at the time was owned by Newcastle University. There was an original golf course and a small club house which had been used by the University, and had some long-standing members. The initial focus was on the house where a restaurant was added followed by a number of guest rooms. At this point Graeme and his directors began to consider how they could take the golf course further. The Space team was given the opportunity to pitch for the work and were fortunately successful. The Space project director was Andrew Grounsell, who sadly passed away last year. I’m sure he would be very proud of the profile the course and club house now has. The Close House team began to purchase surrounding land to add an additional course. The original course would be retained but the idea was to design, and build a brand new course over the next two years. As well as the two courses, a club house was required which was worthy of the proposed new facilities. The setting of Close House is beautiful within the Tyne valley, it has spectacular views but this brings with it some complications, as it can be seen across the valley this meant any interventions were very sensitive. The Space team spent a considerable amount of time with the planners to produce a design which was sensitive to the setting but also gave the club house the presence and stature required of a course such as this. We decided on materials such as stone, copper and timber to be sympathetic to the surroundings and we also set the building within the tree lie so as not to impact on the view across the valley. The planners were eventually supportive on the design of the clubhouse and the extension of the courses themselves. The course was designed to be the best members club in the UK. The course was to be challenging but not too challenging that only the best golfers could play it. The club house and its service had to match the quality and investment in the course itself. Everything was to be of the highest standard and should match or even exceed what was on offer at other top UK courses. The intention was that this would be a desirable destination not simply a golf course. The final design included the usual changing facilities a pro shop and golf reception. The bar and restaurant were designed to the very highest specification and there was also an adjoining function area. The views from the bar and balcony were across the course to the opposite side of the valley. Since the course opened the club has continued to invest and evolve. There has even been several re fits to ensure the highest quality standards are maintained. The course itself is constantly improving and only by visiting the club can you appreciated the attention to detail. When Space set out on this journey 10 years ago, the Close House team had huge aspirations, their vision to bring a major event to the region was so far fetched it was unbelievable. Thinking back to the then Newcastle University Close House, it’s hard to appreciate the progress it has been made today. To have the 2017 British Masters at Close House and in the region is a huge feather in the cap and shows that Graeme’s commitment and determination has made this vision come to life. Space is honoured to have played a part in the Close House story.